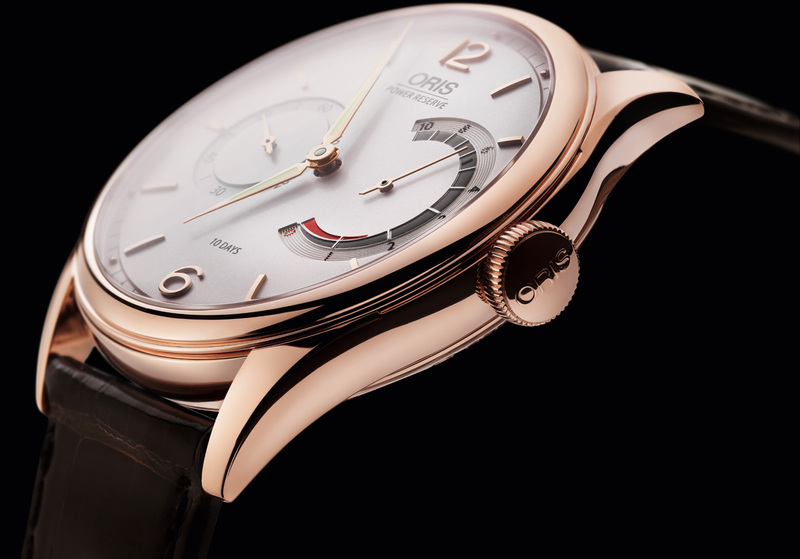 Oris has just announced the Calibre 110, its first in-house movement in 35 years. Boasting a 10 day power reserve, the 110 Years Limited Edition is hand-wound, featuring a patented non-linear power reserve and a very accessible price. 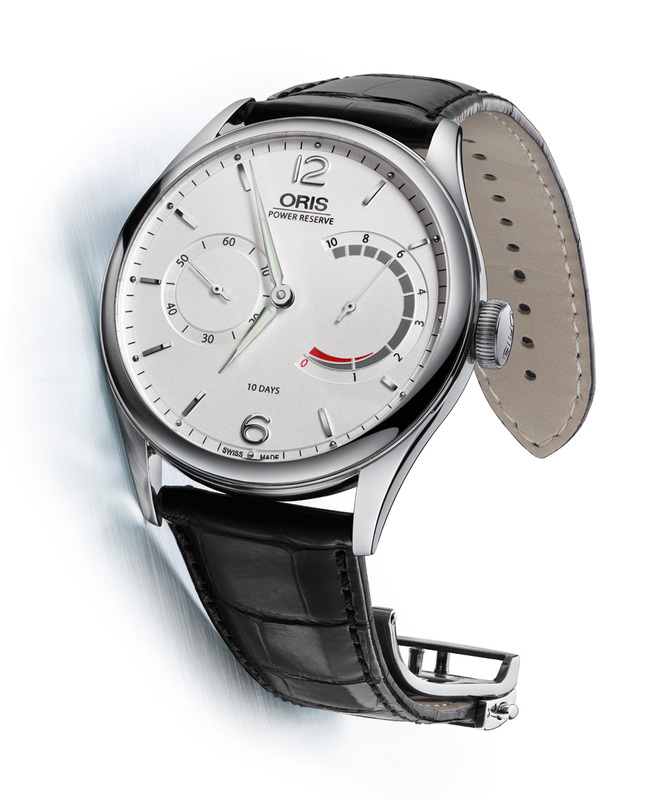 Well regarded as a maker of modestly priced timepieces, Oris has largely used ETA and then Sellita movements in its watches, with added complications modules developed in-house – until now. The 10 day power reserve Calibre 110 is the first completely new movement by Oris since 1981 when it stopped development of in-house calibres. This new calibre is found inside the 110 Years Limited Edition, to mark the brand’s anniversary since its founding in 1904. 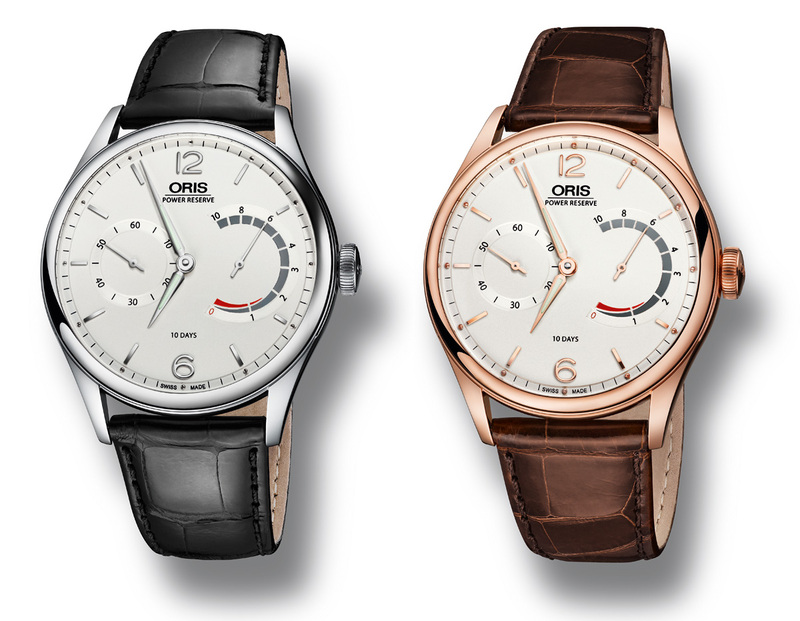 Though Oris was once a subsidiary of a corporation that is now part of the Swatch Group, it was acquired in a management buy-out in 1982 by its General Manager, Dr Rolf Portmann, and Head of Marketing, Ulrich W. Herzog. Today the pair still run the company, which is continues as an independent brand. The Calibre 110 has a striking 10 day power reserve, thanks to a single barrel with a 1.8 m long mainspring. But more importantly, the movement has a 34 mm diameter, and the watch itself is a manageable 43 mm wide. 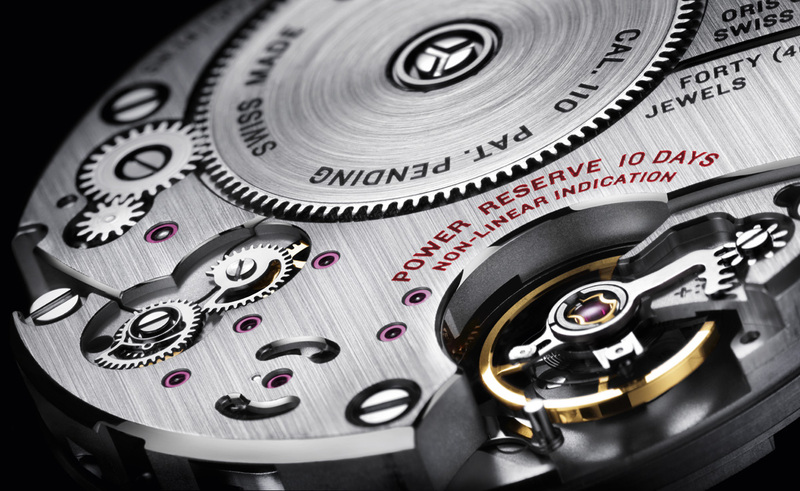 Running at 21,600 bph, or 3 Hz, the Calibre 110 comprises 177 parts, including 40 jewels. It features a non-linear power reserve at three o’clock, on a scale of one to ten days. At full wind, the days on the scale are closely spaced, spreading out as the power reserve approaches zero. Consequently, the power reserve hand travels slowly at the start of 10 days, and more quickly as the power reserve runs low. 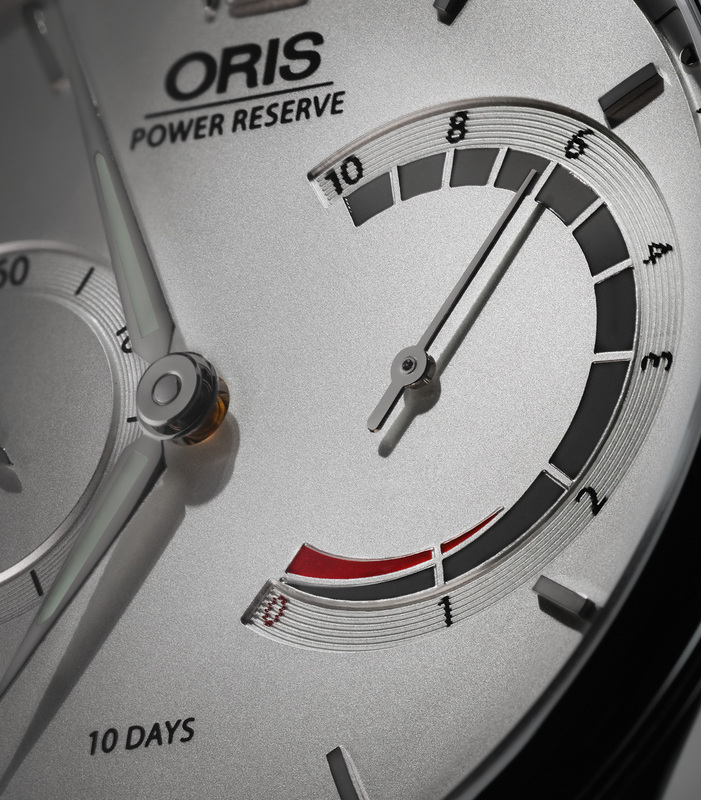 Oris notes the Calibre 110 has been tested to ensure the torque delivered throughout the 10 day power reserve is constant enough to maintain a good amplitude in the balance. 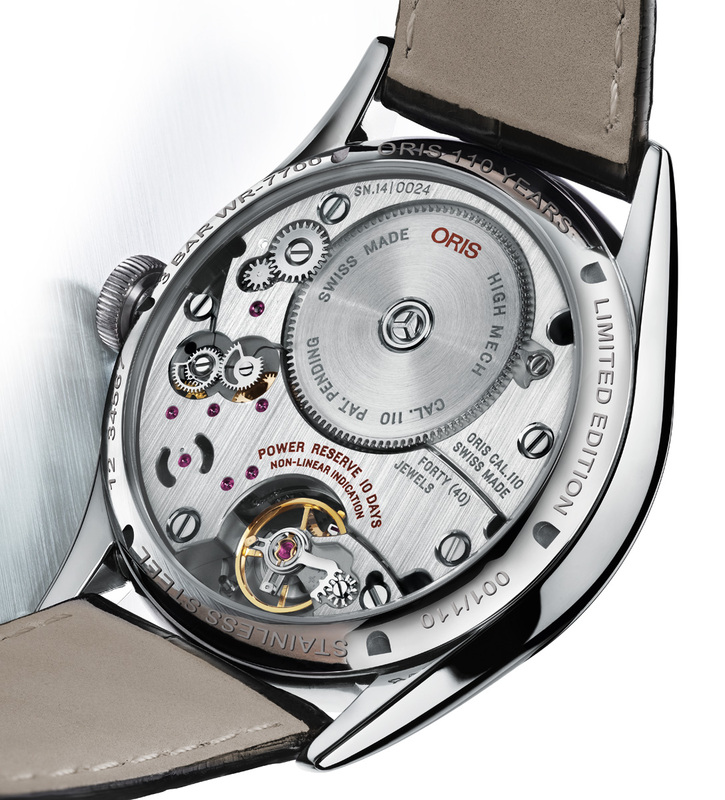 Decorated with hand-finished bevelling, the large bridges have a brushed surface finish, “untouched industrial beauty” according to Oris. 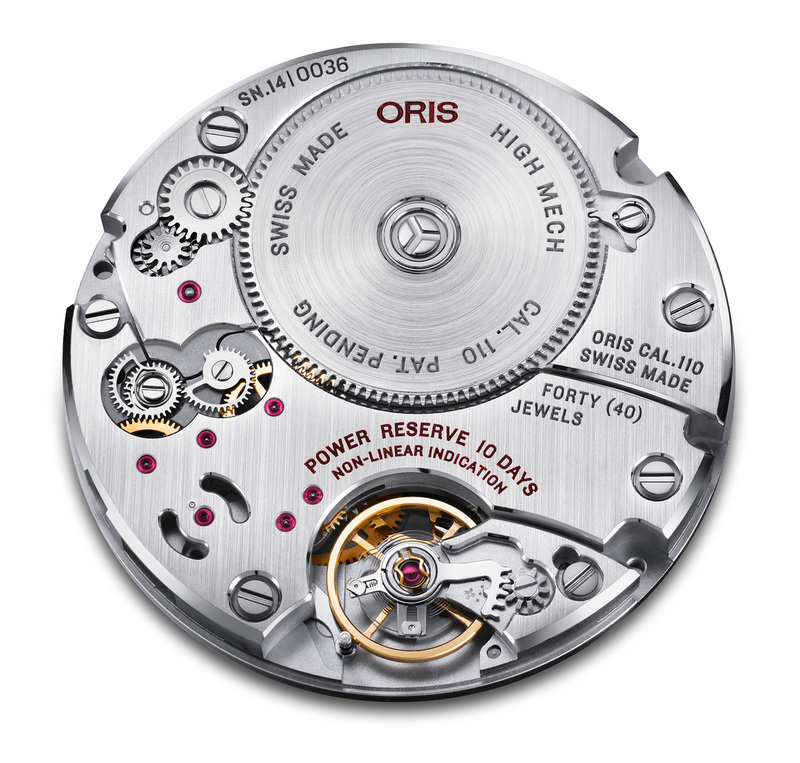 The movement was developed by Oris, L’École Téchnique Le Locle (Technical College of Le Locle) and Manufacture Horlogère Vallée de Joux (MHVJ). MHVJ is a movement and component manufacturer, and part of the Festina Group, which also owns Soprod and L. Leroy. The 110 Years Limited Edition is available in steel or rose gold, with each version limited to 110 pieces. The steel model is priced at 5500 Swiss francs (~US$6300), while the gold will retail for 14,800 Swiss francs (~US$16,900). And in Singapore the retail prices are S$8000 and S$21,300 respectively, including GST. Delivery is expected in April 2014. Given the cost of developing a new calibre, and the price of these limited editions, the movement, or at least variants of it, will certainly be found in other Oris watches in the future.